Home Professionalism Use a Good Meeting Invitation Template Hold a meeting! Tired of working alone? 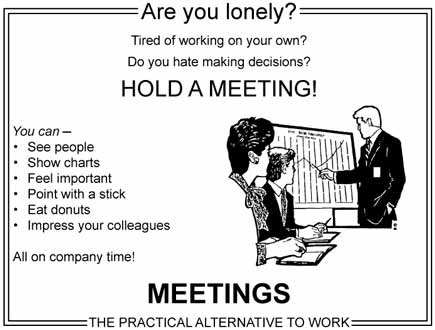 Hold a meeting. I don’t know where this image originated or who holds the copyright. I found it here and they found it somewhere else.